We rented a beautiful Riva for our wedding day. Best decision ever. The boat was clean, came with a funny driver and he hid in all sorts of different places to stay out of our photos! The Trip was very nice and professional!!! Our Captain was also very friendly and professional. We had very good 3 houers in a very fantastic boad !!! We had the boatride of our life and everyone is very professional. Our driver Mattia was very polite and a realy good driver. 5 stars for sure! The company has been prompt in replying and very professional. The service has been great and the boat driver super kind. We highly recommended the service. I Riva più belli del Lago di Como, il servizio migliore, la professionalità dei driver per un'esperienza indimenticabile. Grazie Francesa Matteri. Servizio sempre eccellente! 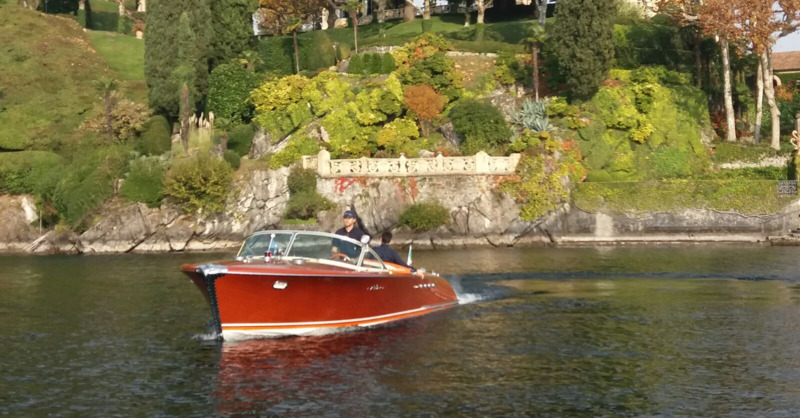 Top service in every way, it's always a pleasure to book your Riva boats!